E2M introduces redundant 6-DOF system for extra safety critical applications | E2M Technologies B.V. In order to satisfy the highest safety requirements, redundancy is often used to make sure the system can cope with failed components in a controlled manner. E2M has now realized for the first time a 6-DOF system with a redundant number of actuators. 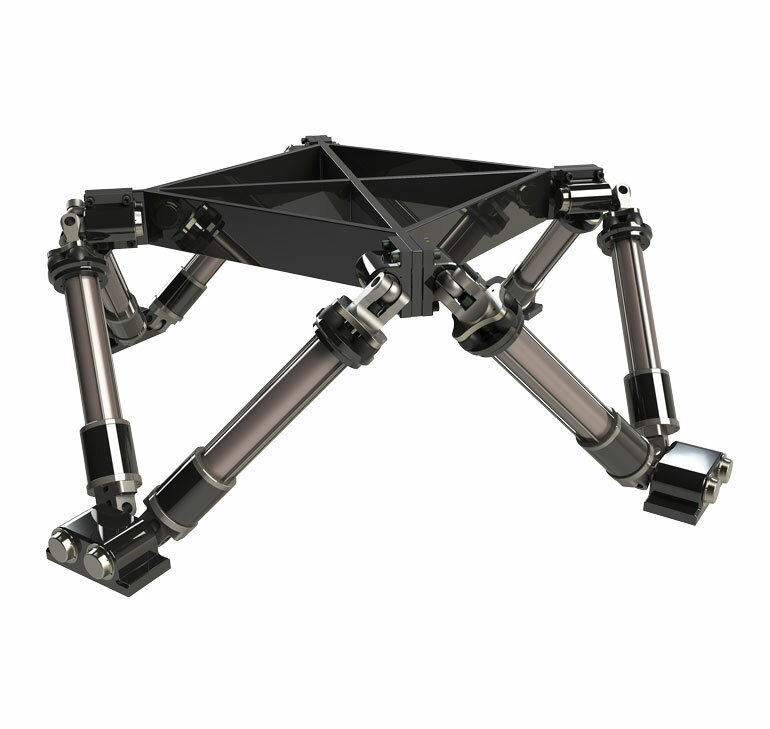 The eM6-A8 systems of E2M feature 8 actuators in an octopod configuration. This means that with a failed and even disintegrated actuator, the system can still safely settle in a controlled way. A controller was developed to deal with the force-fight characteristics inherent to overdetermined systems. Large numbers of these systems were acquired by large entertainment customers and will find their way into many entertainment parks the coming years. A safe thought when you step in an attraction powered by an E2M redundant motion system!